In the hollow of the summer, we offer some cultural activities to enjoy the last days of vacation or otherwise plunge into the heart of idleness. Towards Sicily for the Summer Music Verdura Resort Festival, Metz for a major exhibition devoted to the French and German avant-gardes, in Bormes-les-Mimosas to discover the work of the Romanian photographer Noroc on the beauty of women or Paris for incredible diving in the animal world at the Fondation Cartier. We also invite you to discover the works of hope by Jean-Charles de Castelbajac in St Barths, the hyper-realistic sculptures by Duane Hanson in Monaco or the monumental work of Korean artist Yang Haegue in Paris. 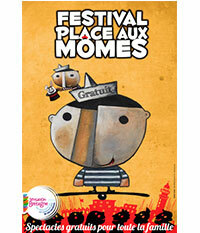 And for those on a family holiday in Brittany, do not miss the Place aux Mômes festival. Every week, the PLUME VOYAGE magazine offers you a selection of cultural news and international exhibitions. Come on, it is all happening now! The Resort Spa & Golf Rocco Forte group in Sicily hosts three exceptional concerts of world renowned artists. Thus, on August 16, the festival will begin with pianist Robert Cacciapaglia which will perform its unique and innovative compositions. The next day, place the “darling of the soul,” Myles Sanko. Finally, on August 18, the Quintet Nick the Nightfly, which will close the festival with its neo-soul tunes, pop and New Age music. 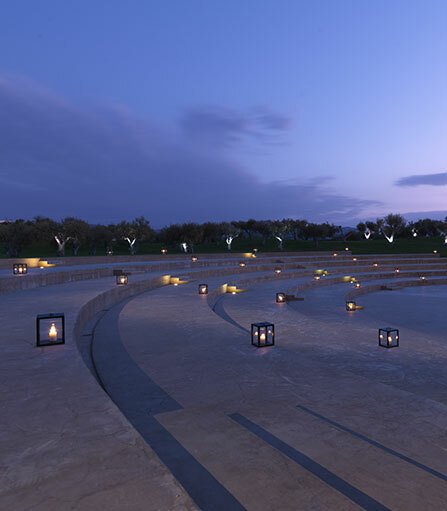 With frame for the lovely amphitheater of the hotel, surrounded by olive groves, these concerts will allow guests of the Verdura Resort fully appreciate programming: the kids club will be open for the kids to have fun without disturbing the happy parents. The exhibition tells a hundred years of shared history – that of cross-influences, consonants and artistic dissonance between France and Germany – through the prism of a collection ‘art. While it is true that foreign funds of museums of a country are the mirror of the diplomatic relations it maintains the German avant-garde of the early twentieth century are underrepresented or virtually absent from French collections, for historical reasons. The exhibition Between Horizons offers a chronological reading of this fascinating and complex history to the modern era. 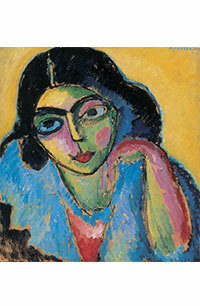 For although the political and cultural environment was sometimes hostile exchange of ideas between the French and German intelligentsia, free spirits share the same fascination for France and have the audacity to become transmitters of ideas and promoters of the renewal of art in the young nation that then Germany. 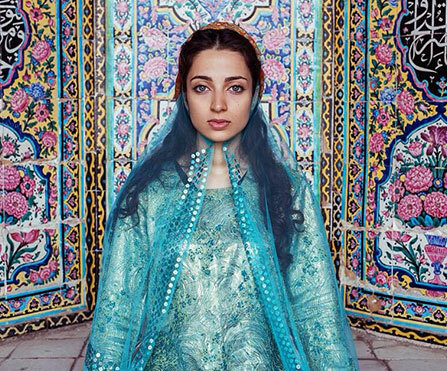 For her first exhibition in France, the young Romanian photographer Mihaela Noroc has chosen to present her images at Domaine Sainte-Marie, a few kilometers from Saint-Tropez. It is a veritable world tour of beauty that the young woman invites us to through her portraits full of poetry and serenity. A celebration of diversity that lies at Domaine Sainte-Marie, an ideal setting. American musician and bioacousticien, brings together artists from around the world and invites the public to immerse themselves in an aesthetic meditation, both visual and audible around the animal world increasingly threatened. The Bernie Krause’s approach is unique. He contemplates the natural world as a poet, listening to the vocalizations of animals and musician, through his recordings, studies the scientist. 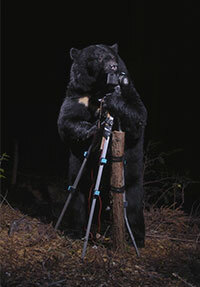 Bernie Krause is well mastering the art of revealing the beauty, diversity and complexity of the language of wild animals, increasingly silenced by the din of human activities. He implores us to listen to these voices of non-human living world before a final silence falls upon them. 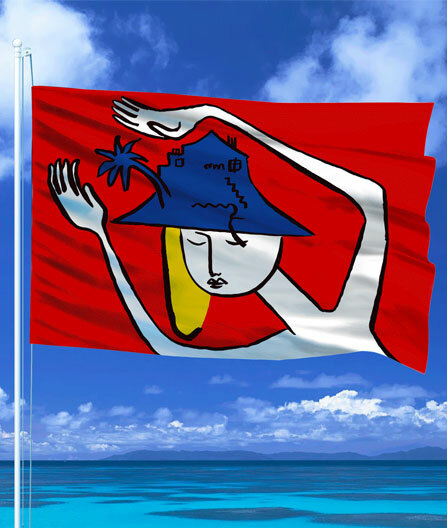 For his second exhibition at Eden Rock St. Barths, Jean-Charles de Castelbajac has created a series of ten flags set on the beach in front of the gallery. A series of drawings on cigarette paper, painted with Japanese ink, tell imaginative stories, scenes evoking Robinson Crusoe, sea, strange animals, wilderness, far from the bustle of the corporation today. The artist also painted a triptych on canvas, forms the Matisse, between clouds and flowers. This new work by Castelbajac represents hope and the idea that the wind carries these images of hope around the world with their sharing messages of brotherhood and love. 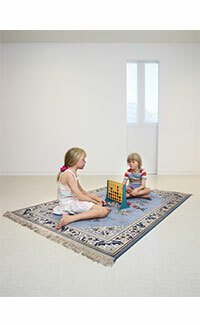 "Duane Hanson" at the New National Museum, Monaco. Throughout his forty-year career, Duane Hanson created hyperrealistic size sculptures representing Americans of the working class and members of society often ignored. Referring to the Pop Art movement, sculptures transform the banality and meaninglessness of everyday life in iconographic material. The exhibition, initiated by the Serpentine Galleries in London, presents the major works of the artist. The hyperrealism of these sculptures direct result of the artistic approach of Duane Hanson. With polyester resin and fiberglass, it mold live models in his studio, paying attention to every detail, from the hair to the veins and bruises. The sculptures are then assembled, meticulously tailored and finalized, the artist himself choosing carefully the clothing and accessories. 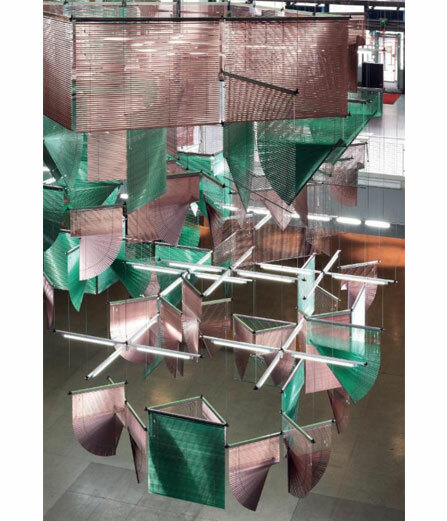 "Haegue Yang - Lingering Nous"
The Korean artist Hargue Yang is known for his prolific and varied practice, which explores several disciplines, from collage sculptures to performance. Led by careful attention to the materials, research waging a personal interpretation of events and historical figures, philosophical references footprints and carriers with an emotional charge. As part of the year France-Korea, the Centre Pompidou presents Lingering Nous monumental production that is characterized by its physical and social dimension. Its deployment in large volumes on three floors, the work consists of Venetian blinds – the artist’s favorite materials – and invites to contemplation. The Place aux Mômes festival invests Brittany. For 19 years, the festival travels 21 Breton coastal resorts from Cancale to Pénestin and celebrates the performing arts through an eclectic and original programming. Storytelling, puppetry, singing, circus, dance, theater, music … In total 126 performances that are invitations to surprise children, to raise awareness of the culture and street art to discover new expressions and to delight them. Each day’s program to appreciate from 4 years old and completely free.